The Library of the Seen: Mirror Mirror on the Wall, How was The Unfairest of Them All? Mirror Mirror on the Wall, How was The Unfairest of Them All? It's the aftermath of Legacy Day, the day when the students at Ever After High are supposed to pledge to follow in their fairytale parents' footsteps, and everyone is in a huff and a puff! Raven Queen, daughter of the Evil Queen, has refused to sign the Storybook of Legends, rejecting her story--and putting everyone else's in jeopardy. Mirror, Mirror on the Wall...Who's the Unfairest of Them All? Don't miss Book #1, Ever After High: The Storybook of Legends! I am almost 27 years old and I ADORE the Ever After High books by Shannon Hale! (Even if I do endure a little bit of teasing for my age and reading choice...) I honestly can't wait to read the next book in the series and even though I am a little disappointed that Shannon Hale will not be writing this series anymore I will probably give Suzanne Selfors Ever After High Novels a chance. Although it might be kind of dorky silly to some I find all of the cute, punny, jokes that Hale makes absolutely adorable. Like Taylor Quick and One Reflection. :) They are a really nice touch that makes the world more relatable (though it does seem like it may make it less timeless) I also find Maddie's interactions with the Narrator super cute. 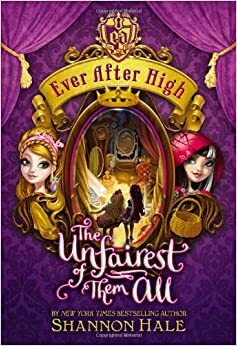 The Unfairest of Them All was a fantastic continuation of the Ever After High series. The fall out of Raven Queen not signing the legacy day book was really well done and I think shines a good light on the consequences of your actions not only effecting you but those around you as well but at the same time drives home the point that sometimes someone does have to stand up and change the status quo. The confusion, worry and uncertainty that arise after Raven Queen choses not to sign the book are the same feelings every middle grader, teenager, young adult, new adult and even adults face! Questioning whether fate, free will or some sort of combination of the two is the best course in life. Whether to follow in their parent's footsteps or to forge their own path in life. I love how all of the characters put aside their differences to help a friend in need when she get's in serious trouble in a case of complete injustice. These books always have a great message throughout the entire novel. I love these retelling of famous fairy tales! This looks like a good one too. It is an adorable series! 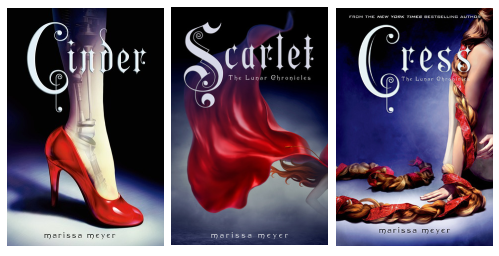 I am a big fan of fairytale retellings for all ages and I fell in love with Ever After High. Thank you for stopping by and hosting my review in the KidLitBlogHop! I liked it but I think Cinder is still my favorite. 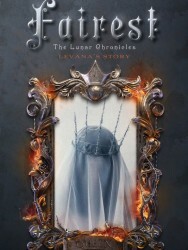 I was upset with the ending knowing I am going to have to wait to hear the next part of the story and then Fairest is coming out which is a prequel, if I understood the premise right, and will not be continuing the groups stories. So we have to wait until Winter comes out. Ugh! I also missed Scarlet but I have a feeling she will play a major part in Winter. I just saw that today, that Fairest is coming out. I swear if she introduces yet another character in "Winter", I'm going to lose it!! lol I liked Cinder best too. 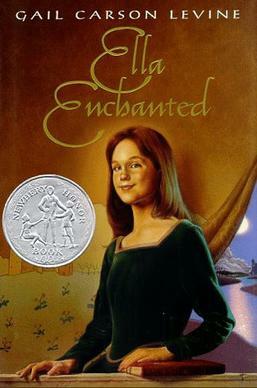 I am waiting to read this with my daughter .. we love all things Shanon Hale! Thanks for sharing the review on KidLitBlogHop! Curtsies and Conspiracies OH MY! A Look at The Kingdom Lights!